A tethered mind free from the lies "
Though not exactly a tall man, Katsden is rather muscular, and as a result tends to seem to be slightly taller than he actually is. His build is definitely wider than most, and he has broad shoulders. His blonde hair is, due to his profession, usually cut quite short, and though he would love to grow out what he describes as a "potentially glorious beard", that too is kept trimmed by necessity, though he always sports some level of facial hair. His eyebrows aren't especially wide, but they are rather thick, and sit above deep-set, light blue eyes. His hands and forearms bear quite a few scars, some a result of fighting in his youth, but most from accidents while an apprentice smith (and a few more recent; working with hot materials is never perfectly safe). He feels no need to hide them though, and frequently wears short-sleeved shirts, being accustomed to them while working at the forge. His clothing is typically dark in color, and more practical than pretty. Katsden takes just about everything seriously. He doesn't often joke, preferring instead to state exactly what he means, and expects everyone else around him to do the same. He isn't particularly good at interpreting sarcasm, and often misses it entirely, thinking that people mean what they say literally. He hates flirting for much the same reason, because he never quite understands what exactly is going on. Luckily, since he often gets into situations where he doesn't quite get what's happening and has a rather loud voice and laugh, he tends to be pretty shameless. He doesn't care who hears him messing up, or laughs at him for failing to understand a joke, as long as everything works out all right in the end. He's an eternal optimist, always figuring that, eventually, things will be all right. Once he befriends someone, Katsden is extremely loyal. Though his loyalties lie first to his brother and then to the Weyr, he will stand behind just about anyone that he considers a friend. He has total faith in everyone, and almost always assumes that they will live up to his expectations. He is also rather protective, especially of K'den, despite the fact that his brother hardly needs his protection most of the time any more. Like most other children with riders for parents, Katsden grew up in the creche with his younger brother, Kanden. For most children with siblings, it meant that they had one member of their big, not-necessarily-blood-related extended family who might be closer to them than others, but for Katsden it meant that he had a little brother who, from a rather early age, apparently needed protection. Though he wasn't necessarily big, Kanden was considerably smaller than even he was, and he found himself standing up for him to keep him out of trouble. He wasn't fond of the fighting in the slightest, but it was better than Kanden trying to fight a kid twice his size. Eventually his brother learned how to stand up for himself in his own way, and Katsden was able to stay out of trouble more effectively. Not that he ever avoided it entirely of course, for he managed to get himself into more than one sticky situation by taking someone literally when they were being sarcastic, but never more than he could really handle. Eventually, both he and his brother were Searched and spent a couple of Turns as candidates. By that point, he was already an apprentice Smith, being rather strong despite his small stature, and rather skilled at wielding a hammer. He spent most of his time learning his Craft, returning to the Sands at every Hatching only to be passed over repeatedly. Unlike Kanden, he didn't expect to ever Impress. Eventually, Kanden did actually Impress, while Katsden was again passed by. That was the last Hatching he ever stood for, and after that he devoted himself entirely to learning Smithing. Weapons were high demand due to the war, but what he always preferred was the smaller works. Buckles for riding straps, or more-intricate belt buckles. The happiest day of his life came when he was promoted to Journeyman, and he has felt no regret over failing to become a rider. His place, quite clearly, is among the fires of the forge. Or... maybe his place isn't in the forge. He Impressed Espinneth from the Stands, had his name officially shortened to Kats. He's learned to love the previously-hated nickname. He's mostly given up his Smithing due to his duties as a rider, as it's not a Craft that can really be done part-time. He still misses it sometimes. Had a massive crush on Aydie for a long while; has finally (mostly) gotten over it, but still feels rather protective of her. Thought he had Impressed a gold fire lizard; instead, Esper is mostly Espinneth's, and after a while it was clear that the brown had bonded her. Accidentally became Co-Senior Weyrleader when Espinneth flew Macath; it's a job he never really wanted in the first place. Got demoted again when Danse and Macath died, but is at least temporarily assisting as a co-leader until the Weyr figures things out. Was finally freed from his duty when Esther became Weyrleader. He feels sorry for her, but is still delighted to be done with it. Decided he could no longer in good conscience remain at Fort when Tuckal was showing signs of becoming a warlike tyrant; departed to Semaca. K'den is not currently on speaking terms with him. A tall brown, one that is all legs and limbs with a rather compact body. Espinneth is all strong legs and powerful wings, though he looks almost comically tall. Despite the disproportional length of his limbs, he is sturdy and steady, not awkward. He is a light, dusty-tan color, almost a silvery-brown-taupe. His markings are a darker, more the color faded leather. He almost looks gray in some lights, as if he is an overgrown white. The darker color frames his face and his cheeks, tracing over the shape of his skull and over his eyelids. The same color goes down his back ridges and across his neck like a band. His legs have plate-like stripes tracing over them, and there are dark, thick stripes going down his tail. Espinneth's voice is a deep, strong baritone. He is generally polite to those around him, even if he doesn't like them. If there is a 'one sane dragon' on Pern, Espinneth is that dragon. He has quite a level head on his shoulders, with what appears to be infinite amounts of patience. And considering who his siblings are, he will need it. He can be rather stoic and serious, with a firm head and a good sense of focusing on what needs to be done. He has quite he talent for sarcasm, and is fairly good at being a deadpan snarker. He has little respect for Walzth and Avellareth, ignoring their commands and orders. Espinneth has a great capacity to care for others, perhaps to the point of foolishness. He sometimes lets himself be quite silly, teasing his bonded in good fun. There is an underlying sadness to him, however. Perhaps a part of him thinks that he shouldn't have been a dragon at all. He is eager to learn human mannerisms and speech inflections, trying to be as human as he can, despite actually being a dragon. It is difficult to outright anger him, but Espinneth is more than capable of savagery once pushed to that point. A small, dainty gold, Esper is probably more similar in size to the average brown. Her hide is a pale gold, edging closer to orange than the normal yellow-y color. She has no markings whatsoever, being all of one color. 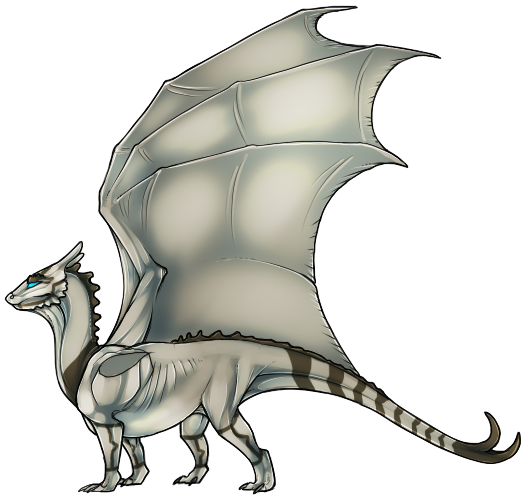 Her wings are rather on the large side, much closer to a size one might expect of a gold, and she frequently drapes them around herself like a blanket. She’s clumsy on the ground, preferring to fly or catch a ride on someone else to walking. Esper is quite possibly one of the least regal golds ever. She’s extremely friendly and playful, with a tendency to flop down for a nap on top of whoever happens to be nearby. She is rarely bossy, instead preferring to defer to others in most matters, though she’ll give Kats or Espinneth a stern “talking-to” if either of them jostles her unexpectedly, waking her from one of her frequent naps. Though she doesn’t sleep much more than most fire lizards, she tends to get it through sporadic naps. She’s very attached to both Kats and Espinneth, spending a large portion of her time curled up on the brown’s head between his headknobs, occasionally draping her wings in front of her eyes and enjoying the ‘game’ when he tries to shake her off.